The organization is continuously seeking new members and encourages any individual desirous of caring for the medically undeserved to come on board and be apart of the HELPJaMM family. Application is available on our website and you can contact us at helpjamm@ymail.com or visit us at our schedule meeting time, first Wednesday of the month @ 8PM. The ability to provide care and equipment is made possible through donations. 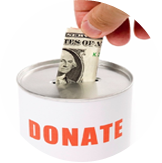 The organization accepts medical equipment, furniture, monetary contributions, etc. to bring along on its mission trips. The generosity of several companies and individuals donating plays a major role in making the organization’s mission a success. Dr. Richard Constable is from the parish of Clarendon, Jamaica and was a stellar student at Clarendon College. 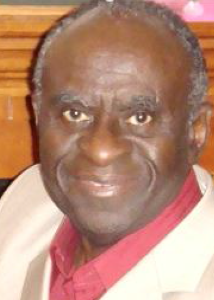 He attended the University of the West Indies for one year then migrated to Canada and worked briefly as a R&D technician with Stange and Salada Tea. His move to New York, USA culminated in his attendance at Long Island University and his graduation in 1986 from the Medical School of the State University of New York (SUNY), Albany with specialties in general surgery and trauma. Dr. Constable began his private practice in Woodbridge, New Jersey in 1986 and is a member of several committees in a variety of hospital systems. 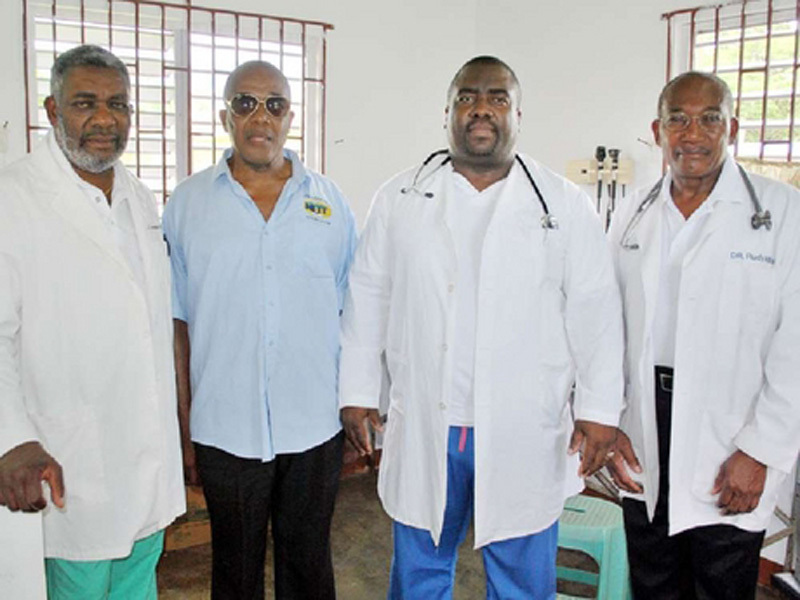 A co-founder of the Caribbean Medical Mission which has been in existence for 17 years, he has been influential in staging medical missions to Jamaica for the past 16 years. He is Chairman of the Board of HELP Jamaica Foundation, and a member of the Jamaican-American Association of Buffalo. 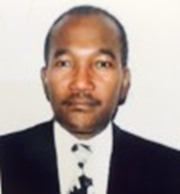 Dr. Robert Clarke hails from Trench Town, Kingston, Jamaica and attended Trench Town Comprehensive High School and Kingston Technical High School. After migrating to the USA in 1987, he attended Seton Hall University, majoring in mathematics and actuarial science. He later attended the University of Medicine and Dentistry of New Jersey and in 2003, graduated as a medical doctor (MD) in Internal Medicine. In 2005, Dr. Clarke opened his medical practice in East Orange. He is the medical director of Windsor Garden Health and Rehab Center, as well as associate medical director of New Vista Nursing and Rehab Center and is clinical instructor of medicine at his alma mater in New Jersey. 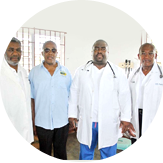 Dr. Clarke is a longstanding member of Caribbean Medical Mission that provides medical care across the Caribbean. In 2010, he joined forces with Dr. Rudolph Willis and formed HELP Jamaica Foundation an acronym for Healthcare for Every Living Person in Jamaica. HELP Jamaica is also the clearinghouse for NAJASO member organizations’ medical missions to Jamaica and in the USA. 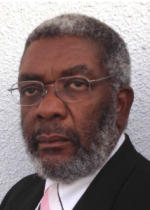 Dr Robert Clarke, MD, was born in Trench town, Kingston Jamaica and attended trench Town Primary school, Trench town High School where he was the Deputy Head boy as well as Sergeant Major of the cadet force and kingston technical High School Extension. After graduating high school he worked as an accountant at Ocean Edge Club in Port Henderson for about a year after which he moved to the Ministry of Labor where he worked in the Farm Work Division for an additional 5 years until he migrated to the United States of America. At the young age of about 6 years old he was fascinated with airplanes and always wanted to become a pilot. That soon changed when at the age of 10 he broke his hand and was taken to the Children’s Hospital in Kingston. There he was taken care of by a physician that was so gentle and good with kids that at this point he changed his mind from being a Pilot and now wanted to become a Doctor. After migrating to the USA, he began his quest of being a physician and had a scholarship to Seton Hall University majoring in Mathematics. After graduating from Seton Hall University he was accepted into Medical school immediately after graduating. Within a few weeks before graduating medical school he lost his mother to cancer but did not let that deter him from graduating. He completed his residency in Internal Medicine at the University of Medicine and Dentistry in New Jersey in 2003, and went on to open his own Medical Practice in 2004 where he also specializes in Opiate Addiction Medicine, and where he still practices today. In 2007 he became Clinical Instructor in Medicine at New Jersey Medical School where he taught medical students, interns, and Nurse Practitioners that rotated through his office. 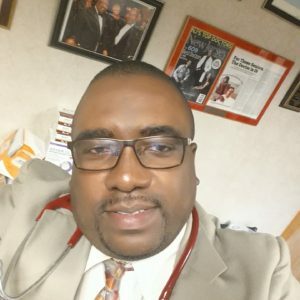 in 2010 while being a part of the Caribbean medical Mission going all over the Caribbean to deliver free health care to the less fortunate, He felt like there was a need for a similar mission to Jamaica on a yearly basis to also assist the less fortunate and so he founded the Help Jamaica Medical Mission with the assistance of Dr Rudolph Willis. The mission has been going to Jamaica since its formation and have gone to over 50 communities and seen and treated over 18,000 patients. 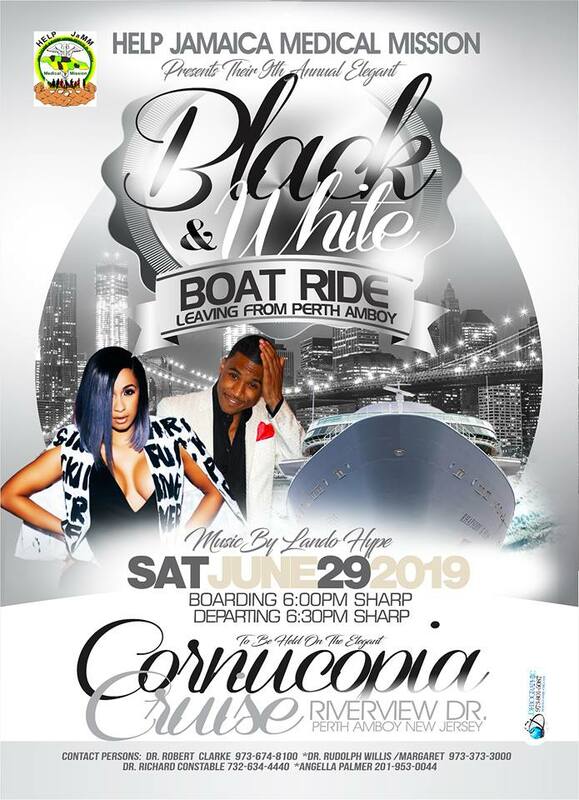 They have also performed life saving surgeries both in Jamaica and the USA free of cost to the patient and has gone on to adopt the Linstead Hospital in St Catherine and is presently trying to acquire much needed equipment and supplies to donate on a yearly basis. Dr Clarke is presently the Medical Director of his practice, East Orange Medical Practice as well as Medical Director for Windsor Garden Care center in New Jersey. He is also the Lead Physician in the Health and Wellness Alliance, a joint venture with the town of Orange and the St. Barnabas Health Care System in New Jersey. In November 2009, Dr Clarke was mentioned in that Edition of “Top Doctors of New Jersey” for his work among Seniors in that State. He is the recipient of numerous awards including the congressional award for outstanding and invaluable service to the community, and also from the New York State Assembly. Dr Robert Clarke firmly believes that it is in giving that one is worthy of receiving and that we are our brother’s keeper, which is why he has dedicated his entire life in giving back to those who are less fortunate among us. 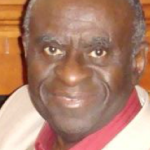 Charles L. Anderson, Sr., MD holds a degree in Family Medicine from SUNY, Buffalo. During his early research years, Dr. Anderson conducted extensive immunology research, which has been published in the Journal of Immunology. As co-founder of Medical Group of Western New York, a multi-specialty private practice that was located on Washington Street in Buffalo, this innovative practice made it easy for patients to have their healthcare provided on a single campus. The mini-medical campus was the forerunner to the Medical Corridor and Washington Street has been aptly designated Dr. Charles L. Anderson, Sr. Way. Dr. Anderson was the Medical Director of Alcohol and Drug Dependency Services of Buffalo for 36 years from 1976 to 2009. Dr. Anderson is the co-founder of Project Respect and the National Medical Association, Buffalo Chapter. As a member of Caribbean Medical Mission and HELP Jamaica Medical Mission, he has provided free medical care throughout the Caribbean. Dr. Anderson is the Chairman of the Board of the Jamaican and American Association of Buffalo, a member organization of NAJASO. Angella hails from the cool hills of Manchester born and raised in Christiana. She attended Holmwood Technical High School and Knox College, later employed as an Assistant Bank Manager with the Canadian Imperial Bank of Commerce for 10 years. Several years later she migrated to the United States of America and continued her education earning a Master’s degree in Business Management (MBA), Human Resource Management (HRM) and a Bachelor’s degree in Justice Studies and Pre Law. Angella is also an American Bar Association (ABA) certified Paralegal working towards her law degree. Being an individual of paucity; she possess a unique mélange of traits, skills and characteristics enabling her to overcome obstacles and pursue her dreams full throttle. Dreams are coupled with attributes, thus her success in life is attributed but not limited to: goal-oriented, listen and learn, risk taking, commitment and determination, improvement opportunities, passion and positive thinking. But most importantly, she is a natural leader that thrives on uncertainty with the ability to motivate, inspire and influence those around her. 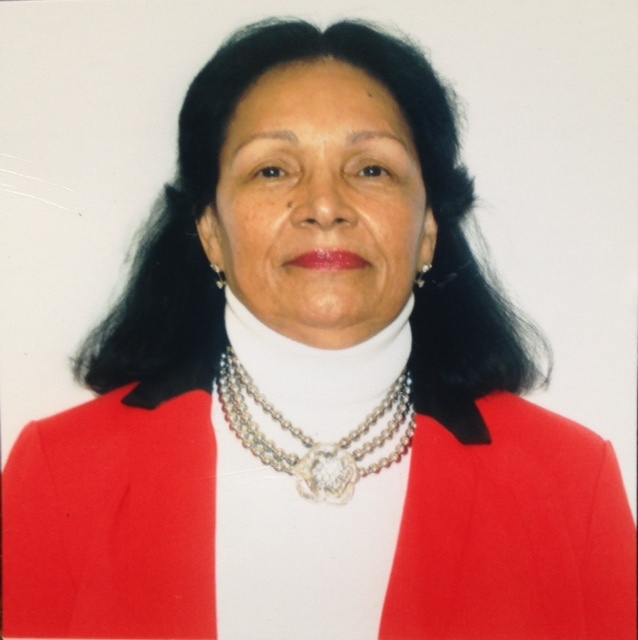 Angella is employed by Verizon Telecommunications, Network Engineering, for the past 27 years and received many accolades including certification for Technical Reading for Telecommunications Technology (TRTT). With retirement on the horizon her plans to retire in Madisonville, Louisiana, will hopefully materialize at the appropriate time! Rudolph C. Willis, MD was born in St. Mary, Jamaica. He attended Windsor High School in Kingston, Jamaica. In 1978, he graduated from Long Island University Brooklyn, New York and received his medical degree from Robert Wood Johnson Medical School in New Jersey in 1982. Upon graduating from medical school, Dr. Willis’ internship transition was at University Hospital, Newark, New Jersey. He completed his residency in Family Practice at JFK Medical Center, Edison, New Jersey and was board certified in 1996. Dr. Willis currently is in private practice at Irvington Emergent Care and Rehab Center, LLC in Irvington, New Jersey for over 25 years. Dr. Willis is a member of the American Academy of Family Practice, North Jersey Medical Society, American Medical Association, Medical Society of New Jersey and Essex county Medical Society. Dr. Willis has done research in Immunology – Cellular Immunity. This research looked at growth medium for lymphocytes, the reaction of lymphocytes of foreign tissue and the suppression of lymphocytes reaction to foreign tissue. This was paramount in organ transplant to create a medium to prevent rejection. In 1996 Dr. Willis co- founded the Caribbean Medical Mission; an organization that provides free medical care to different countries in the Caribbean. He is a two times past President of the Organization. 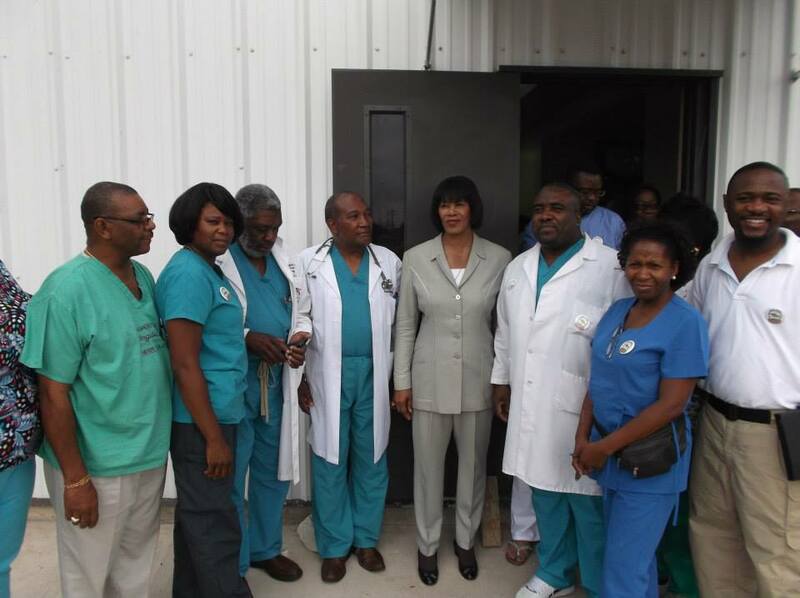 He subsequently co-founded Help Jamaica Medical Mission to provide free medical services to underserved areas in Jamaica. He is the current President and is passionate about improving the health care system in Jamaica. 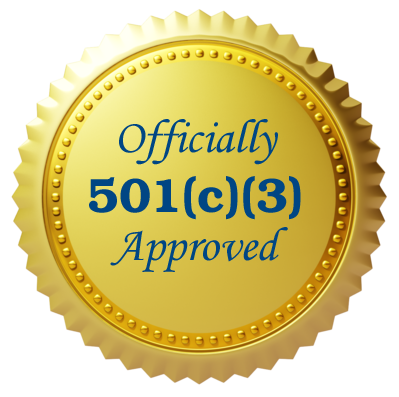 Dr. Willis have received several Congressional Proclamations and Citations, Certificate of Special Congressional Recognition, several Certificates of Appreciation and Recognition together with other Accolades. In his spare time, Dr. Willis is an avid golfer and dominoes player. We would love for you to be a part of our team! 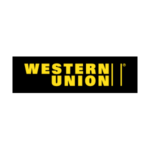 Partner with Our Mission.